If you're the kind of person who hates moving from room to room because you can't hear your music wherever you go, don't panic. 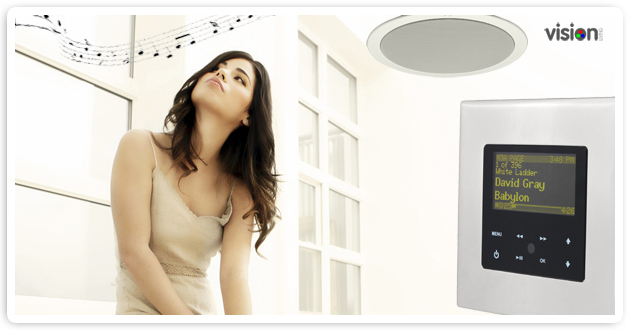 Help is at hand, in the shape of a range of very powerful and flexible multi-room music systems from Vision Living. The Ultimate Solution for Music Lovers. Music brings emotion into your home - it's an avenue to express your feelings better than any other medium, it brings joy and helps create the perfect ambience for any occasion. Dad can enjoy his jazz collection in the kitchen. Mom can relax to some easy listening in the bedroom. The kids can play games while listening to their iPod in the family room. 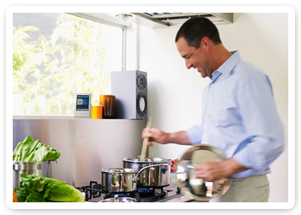 With a multiroom system, everybody gets exactly what they want, when they want it. 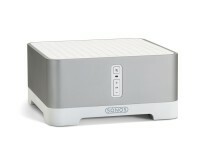 If you love music, you will love Sonos. It's as simple as that. Because only Sonos makes it so easy to add music to your life. In one room. Or many. Playing the music you own on your PC or endless songs and stations streaming from the internet. Sonos is a wireless multi-room music system unlike any other. One that sets up instantly and expands effortlessly. 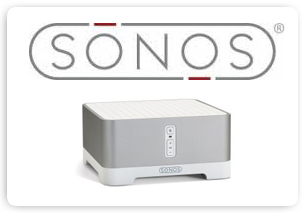 So, are you ready to experience Sonos? 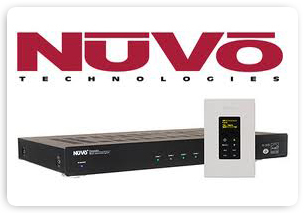 Please call into our Studio and receive a demonstration of this amazing product. 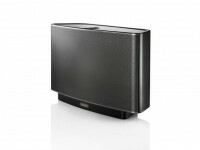 The Play:5 is a high-performance wireless speaker system. Simply plug it in wherever you want music and enjoy. The Sonos Connect AMP is amplified, wireless, compact, and convenient. With its state-of-the-art digital amplifier, the Sonos Connect AMP works anywhere you've ever dreamed of having music.